He graduated with a Bachelor of Civil Law (B.C.L.). He lived in 1976 at Avenida Mareschal Carmona 33, Cascais, Portugal. He had three sons and two daughters. Windham Thomas Wyndham-Quin, 4th Earl of Dunraven and Mount-Earl KP PC (12 February 1841 – 14 June 1926), styled Viscount Adare between 1850 and 1871, was an Irish journalist, landowner, entrepreneur, sportsman and Conservative politician. He served as Under-Secretary of State for the Colonies under Lord Salisbury from 1885 to 1886 and 1886 to 1887. He also successfully presided over the 1902 Land Conference and was the founder of the Irish Reform Association. Dunraven was the son of Edwin Wyndham-Quin, 3rd Earl of Dunraven and Mount-Earl, by his first wife Florence Augusta Goold, third daughter of Thomas Goold. He was educated at Christ Church, Oxford. After serving some time as a lieutenant in the 1st Life Guards, a cavalry regiment, he became, at age twenty-six, a war correspondent for the London newspaper The Daily Telegraph and covered the Abyssinian War. In this capacity, he shared a tent with Henry Stanley of the New York Herald. Dunraven then became a special correspondent for a “big London daily” during the Franco-Prussian War in 1870–71. He reported the Siege of Paris, saw the Third Carlist War and war in Turkey, and probably the Russo-Turkish War. Dunraven witnessed both the signing of the Treaty of Versailles which ended the Franco-Prussian War in 1871, and later the signing of the Treaty of Versailles in 1919. Dunraven succeeded his father in the earldom in 1871 and took his seat in the House of Lords. He served as Under-Secretary of State for the Colonies under Lord Salisbury from 1885 to 1886 and again from 1886 to 1887. During 1888 to 1890 he was chairman of the Commission on Sweated Labour. As a constructive moderate Unionist he sought to bring about a peaceful solution to the Irish land question and to the demand for Home Rule. In 1897 he published The Outlook in Ireland, the case for Devolution and Conciliation which was reprinted in 1907. Dunraven was the owner of the 39000acres Adare Manor estate at Adare, County Limerick. Following the initiative of George Wyndham, the Chief Secretary for Ireland, he was instrumental in forming the 1902 Land Conference of which he was chairman, representing the landlord side. 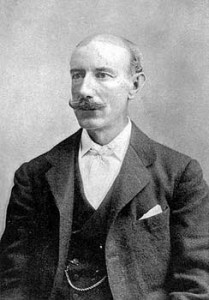 Together with William O’Brien, who represented the tenant side, the conference resulted in the publication of a unanimous report in January which led to the enactment of the very successful Wyndham Land (Purchase) Act (1903) which terminated the last vestige of landlordism and enabled tenants to purchase land from their landlords under favourable financial provisions. After presiding over the Land Conference, Lord Dunraven went on to found the Irish Reform Association which, while reflecting primarily the views of progressive landlords like himself was intended to be a rallying point for all, regardless of political affiliation, who wished to see the ‘conference policy’ applied to other spheres of Irish life. In the course of 1904 this body had produced a scheme of “devolution” — that is, for granting to Ireland limited powers of local self-government. The Under-Secretary for Ireland, Sir Antony MacDonnell, had a hand in drafting it. Greeted at first as a significant step towards self-government, while not Home Rule, the idea could be seen as a significant step in that direction. Such a policy failed to gain sufficient nationalist support, the new proposals dismissed by John Dillon. Unionist responded by forming the Ulster Unionist Council in 1905. For Dillon, devolution was not enough, for the alarmed Ulster Unionists, it was a Trojan Horse for Home Rule. In the end the controversy resulted in Chief Secretary George Wyndham being driven in ignominy from office. Dunraven was as well as president of the Irish Reform Association, a member of the Order of Saint Patrick. Upon the foundation of the Irish Free State he became a member of the first Senate in December 1922. Lord Dunraven spent a great deal of his leisure time hunting wild game in various parts of the world. After hearing of the fine hunting in the American West he decided to visit, first arriving in 1872 where he met and befriended Texas Jack Omohundro who acted as a guide and lead the earls party on buffalo and elk hunts. In 1874 he decided to make the whole of Estes Park, Colorado as a game preserve for the exclusive use of himself and his English friends. By stretching the provisions of the Homestead Act and the rights of preemption, Dunraven claimed 15,000 acres (61 km²) in present-day Rocky Mountain National Park. His efforts resulted in what has been called “one of the most gigantic land steals in the history of Colorado.” The coming of more settlers in 1874 and 1875 stopped this wholesale appropriation of land. Although for 33 years Dunraven considered the Park his personal property, the settlers did not. Their hostility forced him to give up the game preserve idea. The noted landscape artist, Albert Bierstadt, induced by Dunraven to paint in Estes Park, helped select the site for Dunraven’s ‘English Hotel’, which was built in 1877. It was situated in a meadow east of the present Estes Park village and was the first strictly tourist hotel built in the Park. The hotel was a three story timber-frame building. There were twelve narrow windows, and a large door opening onto a one-storied, columned porch. The roof of this porch formed an open deck surrounded by a small hand railing. The porch ran the full length of the front of the building and about halfway around each end. Dunraven realized it would be impossible for him to control all of the park region and in 1907 sold his property to B. D. Sanborn of Greeley and F. O. Stanley of Estes Park. Stanley would later build the historic Stanley Hotel in Estes Park. Dunraven’s ‘English Hotel’ burned to the ground in 1911. Lady Florence Enid Wyndham-Quin (13 June 1870 – July 1891). Lady Rachael Charlotte Wyndham-Quin (20 February 1872 – 30 January 1901), married Desmond FitzJohn Lloyd FitzGerald, 27th Knight of Glin and had issue. Lady Aileen May Wyndham-Quin (9 April 1873 – 25 February 1962), married Reginald Brabazon, 13th Earl of Meath and had issue. Lord Dunraven died in June 1926, aged 85. As he died without a male heir the earldom passed to a cousin, Windham Wyndham-Quin, 5th Earl of Dunraven and Mount-Earl, and the barony of Kenry, which had been created for his father, became extinct. He is buried at St. Nicholas’ Church of Ireland in Adare, County Limerick, Ireland. Here is an image of his headstone. In 1895 Dunraven lived at 27 Norfolk Street, then 26 years after his death in 1939 the street was renamed Dunraven Street in his honour.